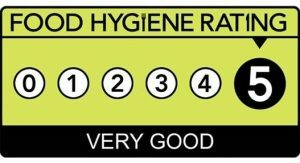 Following an inspection on behalf of the Food Standards Agency this morning by Environmental Health, in connection with our catering and kitchen facilities, we are delighted to announce that we have been awarded the highest award of five stars for food hygiene, safety, management and control procedures. At St. Werburgh’s Park Nursery School we plan an exciting and meaningful curriculum and we feel that using food is key to their learning experiences. Staff plan tasting and cooking of food with children on a regular basis and, during these times, children are also taught about the importance of high levels of hygiene. In addition, all staff have had Food Safety Hygiene Training and many have had this training to commercial catering level. We are thrilled with our new five-star rating! Congratulations to the entire team.